Avocado oil is extracted due to pressing procedure of widely known green fruits caring a big seed inside. Its liquid oil is of greenish shade and even consistency. Not surprisingly, flavour of the oil is similar to avocado fruit’s scent. It has to be pointed out, it is fairly typical for sediment to gather on the bottom of the bottle containing avocado oil. What is more, it is also crucial to be aware of the fact that it is easy for the oil to become stiff. Therefore, it is advised to warm it up a little bit straight before application or to store it appropriately (at room temperature). Avocado fruits are used mainly for cooking as an ingredient of salads, as a sandwich pasta or added to cocktails. The very fruits are also used in cosmetics, mainly for scalp and hair care. They gift body skin with softness as they have nourishing features. Avocado also works wonders when used in a form of a hair mask. 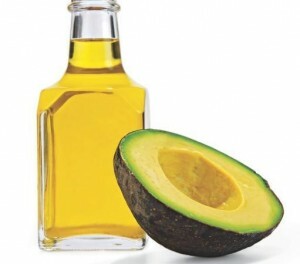 If scalp tends to become dehydrated and hair fall out too excessively, then it is high time to apply avocado oil. Suffice to massage the oil into scalp and rub it into hair. Then, hair has to be covered with a bath cap and wrapped with a towel in order to generate warmth that helps all the nourishing substances to penetrate deep into hair, roots, and scalp pores. The last stage of the treatment is washing down the oil with a SLS-free shampoo. Avocado oil is just perfect for high and medium porosity hair care. The product is good at penetrating strands gifting them with shine and softness. Additionally, it provides appropriate moisturization level, prevents split ends, breaking and hair loss. Avocado oil strengthens hair roots and eases irritated scalp. When applied in the summer, it regenerates damaged hair (for example due to solar radiation) by closing hair cuticles. In general, avocado oil helps with fighting against eczema, psoriasis, dandruff and other skin ailments. When it comes to hair care, avocado can affect hair in both ways, from the outside as well as from the inside. If included into everyday diet, avocado is able to improve skin and hair condition fairly significantly.